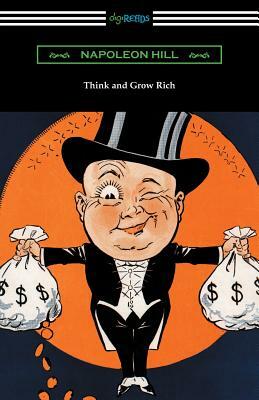 First published during the Great Depression in 1937, "Think and Grow Rich" is Napoleon Hill's classic self-help work on achieving economic success. The work was inspired by famed industrialist Andrew Carnegie's suggestion that he compile a list of principles of achievement common to highly successful people. What followed would be two decades of research of the United States' leading businessmen. Hill interviewed over five-hundred people, including Thomas Edison, John Rockefeller, and Charles M. Schwab, compiling their experiences into a sort of handbook for success. "Think and Grow Rich" is more than a mere get-rich-quick book, but rather a work that recognizes a philosophy of achievement common to many of the most successful people of all-time. Part inspirational, part practical guide for success, this book has sold tens of millions of copies since its original publication and is as relevant today as when it first appeared. This edition is printed on a premium acid-free paper and reproduces the original first edition.